Febo Cincotti, researcher bioengineer, got his degree in electronic engineering in 1998 and PhD in biophysics in 2003. Since then he has been working as a researcher in Fondazione Santa Lucia IRCCS in Rome, dealing with electroencephalographic signal processing for the study of brain function and for the development of non-invasive brain-computer interfaces (BCI). He collaborates with Sapienza and Tor Vergata universities of Rome, with teaching duties. He is co-author of more than one hundred international scientific publications and he is in charge of several national and international BCI projects. Babiloni F, Cincotti F, Marciani M, Salinari S, Astolfi L, Aloise F, De Vico Fallani F, Mattia D. On the use of brain-computer interfaces outside scientific laboratories toward an application in domotic environments. Int Rev Neurobiol. 2009;86:133-46. Floriana Pichiorri got her degree in Medicine and Surgery at the University of Rome “Sapienza” in 2008, with a thesis on the role of neurophysiology in the diagnosis of cognitive disorders; as a student and later as a medical doctor she has been attending the Department of Neurological Sciences of the University of Rome “Sapienza” with a special interest in clinical neurophysiology. She has a fellowship in Fondazione Santa Lucia where she is working on both national and international BCI projects. Gilio F, Iacovelli E, Frasca V, Gabriele M, Giacomelli E, Pichiorri F, Soldo P, Cipriani AM, Ruoppolo G, Inghilleri M. Botulinum toxin type A for the treatment of sialorrhoea in amyotrophic lateral sclerosis: A clinical and neurophysiological study. Amyotroph Lateral Scler. 2010 Aug;11(4):359-63. Giordano C, Pichiorri F, Blakely EL, Perli E, Orlandi M, Gallo P, Taylor RW, Inghilleri M, d’Amati G. Isolated distal myopathy of the upper limbs associated with mtDNA depletion and polymerase-g mutations. Arch Neurol. 2010 Sep;67(9):1144-6. Pichiorri F, De Vico Fallani F, Cincotti F, Babiloni F, Molinari M, Kleih SC, Neuper C, Kubler A, Mattia D. Sensorimotor Rhythm-Based Brain-Computer Interface Training: The Impact On Motor Cortical Responsiveness. J Neural Eng 7 (2010). Francesca Schettini was born in Cosenza in 1983. In December 2006 she received her Dr. Ing. first level degree in Clinical Engineering from the University of Rome “Sapienza” with a thesis entitled “Use of the EEG P300 evoked potentials in the context of brain computer interfaces. " In January 2010, she received her Dr. Ing. second level degree in Biomedical Engineering from the University of Rome “Sapienza” with a thesis entitled "Asynchronous P300-based brain computer interface: a statistical approach". From February 2010 she works at the Laboratory of Neurophysiology at the IRCSS Fondazione Santa Lucia in Rome where she is involved in research activities in the field of P300-based brain computer interfaces. In January 2011 she started her PhD in Bioengineering at the University of Bologna "Alma Mater Studiorum". She is co-author of 2 papers published on peer-reviewed international journals and 12 contributions to conferences. F.Aloise, F.Schettini, P.Aricò, F.Leotta, S.Salinari, D.Mattia, F.Babiloni, F.Cincotti. “P300-based Brain Computer Interface for environmental control: an asynchronous approach”. Accepted to The Journal of Neural Engineering special issue on BCI, January 2011. F. Aloise, I. Lasorsa, F. Schettini, AM Brouwer, D. Mattia, F. Babiloni, S. Salinari, M.G. Marciani, F. Cincotti. “Multimodal stimulation for a P300-based BCI”. International Journal of Bioelectromagnetism 2007, Vol. 9, No. 3 ISSN: 1456-7865. Giulia Liberati received her first level degree in “Psychological sciences and techniques for clinical assessment and consulting” in 2005, and her second level degree in “Psychology of information processing and knowledge representation” in 2008 (Sapienza University of Rome). Since 2008, she has collaborated as a teaching assistant in Cognitive Psychology, General Psychology, and Psychology of Aging. Since January 2011, she has been teaching Psychodiagnostics and Clinimetry in G. D’Annunzio University (Chieti). She is actually finishing her PhD in “Cognitive Psychology, Psychophysiology and Personality” (ECONA – Interuniversity Center for Research on Natural and Artificial Systems) and collaborating with the Institute of Medical Psychology and Behavioral Neurobiology of Tübingen (Germany), where she works with BCIs applied to stroke and Alzheimer patients. Liberati, G., Raffone, A., Olivetti Belardinelli, M. Cognitive Reserve and its implications for rehabilitation and Alzheimer's Disease, accepted to Cognitive Processing, 2011. Liberati, G., van der Heiden, L., Kim, S., Rana, M., Raffone, A., Olivetti Belardinelli, M., Jaskowski, P., Birbaumer, N., Sitaram, R., Classical Conditioning of the BOLD signal: a paradigm for basic BCI communication. Accepted to the 17th Annual Meeting of the Organization for Human Brain Mapping, Quebec, Canada. Liberati, G., van der Heiden, L., Sitaram, R., Kim, S., Rana, M., Raffone, A., Birbaumer, N., Olivetti Belardinelli, M. Classical conditioning of the BOLD signal as a paradigm for basic BCI communication in Alzheimer patients. Accepted to the Alzheimer’s Association International Conference on Alzheimer’s Disease 2011, Paris, France. 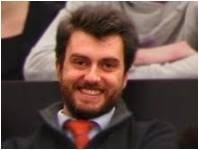 Luca Simione got his Ph.D. in "Cognitive Psychology, Psychophysiology and Personality" in March 2011 from "Sapienza", University of Rome, with a thesis entitled "ViSA: A neurodynamic model for visuospatial working memory, attentional blink and conscious access". Since 2008 he was a teaching assistant in Cognitive psychology and in Psychology of attention at the Faculty of Psychology of "Sapienza", University of Rome. His main research topics are visuo-spatial short term memory, visual consciousness and visual attention, and neurocognitive modeling. Simione L., Raffone A., Micciantuono G., Olivetti Belardinelli M., & van Leeuwen C. (2010). Color Binding in Visuo-Spatial Working Memory. In C. Hölscher, T. F. Shipley, M. Olivetti Belardinelli, J. A. Bateman & N. S. Newcombe (Eds. ), Spatial Cognition VII, Lecture Notes in Computer Science (Vol. 6222/2010, pp. 179-190). Berlin: Springer. Simione L. Raffone A. Olivetti Belardinelli M., & van Leeuwen C. (2010). High-speed memory scanning in a visual change detection task. Proceedings of the 33th European Conference on Visual Perception, Lausanne, Switzerland. Simione L., Raffone A., Olivetti Belardinelli M., & van Leeuwen C. (2010). Modeling brain activity patterns for visual working memory. Proceedings of the 16th Annual Meeting of OHBM, Barcelona, Spain. Sapienza Università di Roma, Dipartimento di Informatica e Sistemistica, Rome. D. Calvanese, G. De Giacomo, M. Lenzerini, M. Mecella, F. Patrizi, Automatic Service Composition and Synthesis: the Roman Model, IEEE Data Engineering Bullettin 31(3), pp. 18–22, 2008. T. Catarci, M. de Leoni, A. Marrella, M. Mecella, B. Salvatore, G. Vetere, S. Dustdar, L. Juszczyk, A. Manzoor, H. L. Truong, Pervasive Software Environments for Supporting Disaster Responses, IEEE Internet Computing 12(1), pp. 26–37, 2008. S.R. Humayoun, T. Catarci, M. de Leoni, A. Marrella, M. Mecella, M. Bortenschlager, R. Steinmann, Designing Mobile Systems in Highly Dynamic Scenarios: The WORKPAD Methodology, Knowledge, Technology & Policy 22(1), pp. 25–43, 2009. T. Catarci, F. Cincotti, M. de Leoni, M. Mecella, G. Santucci, Smart Homes for All: Collaborating Services in a for-All Architecture for Domotics, Proceedings 4th International Conference on Collaborative Computing: Networking, Applications and Worksharing (CollaborateCom 2008) (Orlando, FL, USA), Springer LNICST 10, 2009, pp. 56–69. Mario Caruso got his first-level degree in Computer Engineering in 2006 from University of Rome “La Sapienza”. In November 2010 he received his second level degree in Computer Engineering from the University of Rome “La Sapienza” with a thesis entitled "Design and Realization of a KONNEX Pervasive Layer for Domotic Scenarios"; the thesis was realized in collaboration with "Telefónica Investigación y Desarrollo" within the european project Sm4All (Smart Homes for All). Since Jan 2010 he is a research assistant at DIS (Dipartimento di Informatica e Sistemistica), University of Rome "La Sapienza". Fernando Olmos Garcia, Mario Caruso, Ehsan Ullah Warriach: “D5.3.a - Software Prototype of the Pervasive Layer -”. Project management deliverable for SM4ALL (Smart Homes for All) project, 2010 Aug.
Francesco Amato received the Degree in 1990 and the PhD in 1994 both in Electronic Engineering from University of Naples. Since 2001 he is Full Professor of Automatic Control. In 2003 he joined the Faculty of Medicine of the University of Catanzaro. Currently he is the Dean of the School of Computer and Biomedical Engineering, the Coordinator of the Doctorate School in Biomedical and Computer Engineering and the Director of the Biomechatronics Laboratory in the same University. The scientific activity of Francesco Amato has developed in the fields of Systems Theory and Automatic Control; the this context he has published about 170 papers and two books. Such activity, in the last years, has mainly focused on the field of the modelling, analysis and control of biomedical systems. Amato F., Cannataro M., Cosentino C., Garozzo A., Lombardo N., Manfredi C., Montefusco F., Tradigo G., Veltri P., Early detection of voice deseases via a web based system, Biomedical Signal Processing and Control, 2009, 206-211. Palumbo A., Calabrese B., Vizza P., Lombardo N., Garozzo A., Cannataro M., Amato F., Veltri P., A Novel Portable Device for Laryngeal Pathologies Analysis and Classification, in Advances in Biomedical Sensing, Measurements, Instrumentation and Systems, Springer Verlag, 2009. Palumbo A., Amato F., Calabrese B., Cannataro M., Cocorullo G., Gambardella A., Guzzi P. H., Lanuzza M., Sturniolo M., Veltri P., Vizza P., An Embedded System for EEG Acquisition and Processing for Brain Computer Interface Applications, Wearable and Autonomous Biomedical Devices and Systems for Smart Environment: Issues and Characterization Springer Verlag, 2010. Dpt Neurological Sciences, University of Rome “Sapienza”. Maurizio Inghilleri, associate professor in Neurology since 2001. His clinical activity extends from peripheral nervous system diseases to movement disorders and neurodegenerative conditions with special regard to ALS. His research interests concern the human motor system in healthy and pathological conditions. The work extends from the study of spinal or brainstem systems to basal ganglia and cerebral cortex by using non-invasive techniques, such as the transcranial magnetic stimulation. Developing from an extensive experience in ALS patients care, constantly growing interest is directed to better understanding of ALS pathogenesis and improvements in comprehensive care. Binazzi A, Belli S, Uccelli R, Desiato MT, Talamanca IF, Antonini G, et al. An exploratory case-control study on spinal and bulbar forms of amyotrophic lateral sclerosis in the province of Rome. Amyotroph Lateral Scler. 2009 Dic;10(5-6):361-369. Gilio F, Iacovelli E, Frasca V, Gabriele M, Giacomelli E, Picchiori F, et al. Botulinum toxin type A for the treatment of sialorrhoea in amyotrophic lateral sclerosis: a clinical and neurophysiological study. Amyotroph Lateral Scler. 2010 Ago;11(4):359-363. Beghi E, Chiò A, Inghilleri M, Mazzini L, Micheli A, Mora G, Poloni M, Riva R, Serlenga L, Testa D, Tonali P A randomized controlled trial of recombinant interferon beta-1a in ALS. 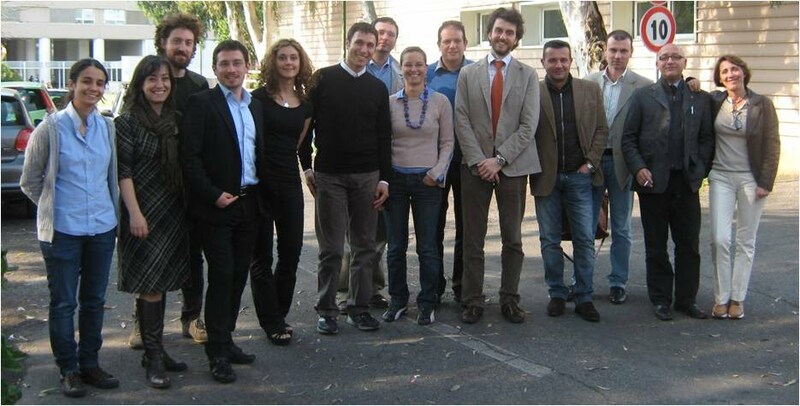 Italian Amyotrophic Lateral Sclerosis Study Group.. Neurology. 2000 Jan 25;54(2):469-74. Vittorio Frasca was born in Rome in 1975. He got his degree in Medicine and Surgery in 2001 at the University of Rome Sapienza, with a thesis in experimental neurophysiology. Specialist neurologist since 2007, he is currently in charge of the medical care of ALS patients at the Dpt of Neurological Sciences, Sapienza University of Rome, where he is the coordinator of a multidisciplinary team composed by a pneumologist, a ENT specialist, a nutritionist and a psychologist. Conte A, Barbanti P, Frasca V, Iacovelli E, Gabriele M, Giacomelli E, Aurilia C, Pichiorri F, Gilio F, Inghilleri M. Differences in short-term primary motor cortex synaptic potentiation as assessed by repetitive transcranial magnetic stimulation in migraine patients with and without aura. Pain. 2010 Jan;148(1):43-8. Gilio F, Iacovelli E, Frasca V, Gabriele M, Giacomelli E, Picchiori F, Soldo P, Cipriani AM, Ruoppolo G, Inghilleri M. Botulinum toxin type A for the treatment of sialorrhoea in amyotrophic lateral sclerosis: a clinical and neurophysiological study. Amyotroph Lateral Scler. 2010 Aug;11(4):359-63. Alessia Pizzimenti is a psychologist, specialist in clinical psychology, psychotherapist, with expertise in systemic relational therapy. She is President of the Crossing Dialogues Association. She collaborates with the ALS center of the Umberto I polyclinic of Rome on the topics of clinical research and patients' treatment, where she takes care of the psychological support of ALS patients (and their relatives) during their hospitalization period. The Association supplies ALS patients and their relatives with in-home care giving them, at the same time, both administrative and psychological assistance. Aragona M., Perinelli D., Bancheri L., Pizzimenti A., Conte A., Inghilleri M.: Considerazioni cliniche sui problemi diagnostici nella classificazione DSM-IV-TR del Pain Disorder. Medicina Psicosomatica 2001; fs. 3-4. Aragona M., Perinelli D., Bancheri L., Pizzimenti A., Conte A., Inghilleri M.: Caratteristiche cliniche delle sindromi da dolore non spiegabile esclusivamente su base somatica (DSM-IV “pain disorder”) Rivista di Psichiatria 2001; 36: 286-291. Aragona M., Bancheri L., Perinelli D., Tarsitani L., Pizzimenti A., Conte A., Inghilleri M.: Randomized, Double-Blind Comparison of Serotonergic (Citalopram) Versus Noradrenergic (Reboxetine) Reuptake Inhibitors in Outpatients with Somatoform, DSM IV-TR “Pain Disorder”. Eur J Pain. 2005 Feb;9(1):33-8.